James Emery White thoughtfully takes in turn each phrase of the Lord's Prayer, showing how it develops in us the attitudes that God desires. 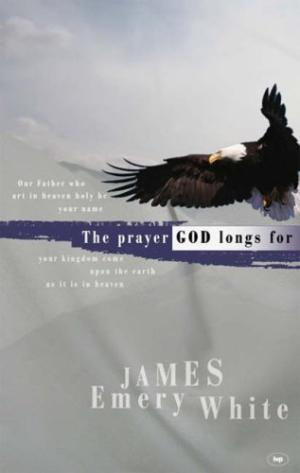 Prayer God Longs For by White, James Emery was published by Intervarsity Press in September 2005 and is our 68060th best seller. The ISBN for Prayer God Longs For is 9781844740918. This is very much about the "pray-er" God longs for. White looks at Jesus' reply to his disciples' question, "Teach us to pray." assuming they were looking for a relationship with God. The Lord's Prayer shows the kind of way we should communicate with God; intimately, expectantly, reverently and submissively. This initial focus upon God leads us on, aware that we are dependent on Him, and must be honest and humble towards him. This is a hundred or so pages of good reading, with frequent quotations and illustrations, and recommended further reading. The problem of unanswered prayer is well, but briefly, covered. Got a question? No problem! Just click here to ask us about Prayer God Longs For.